Across Equestria, A Musical Journey! Ok so i have a great idea!! 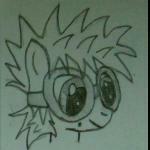 My character thunderbuck is traveling Equestria as a showpony of music. He performs publocally but also is willing to perform for private shows. He has his neice with him. Shes a bright and friendly foal, where as hes a shy adult. Both are intelligent unicorns. I was wondering if anyone wanted to travel Equestria a bit with them. See some of the world and explore music in the various forms across the mainland?